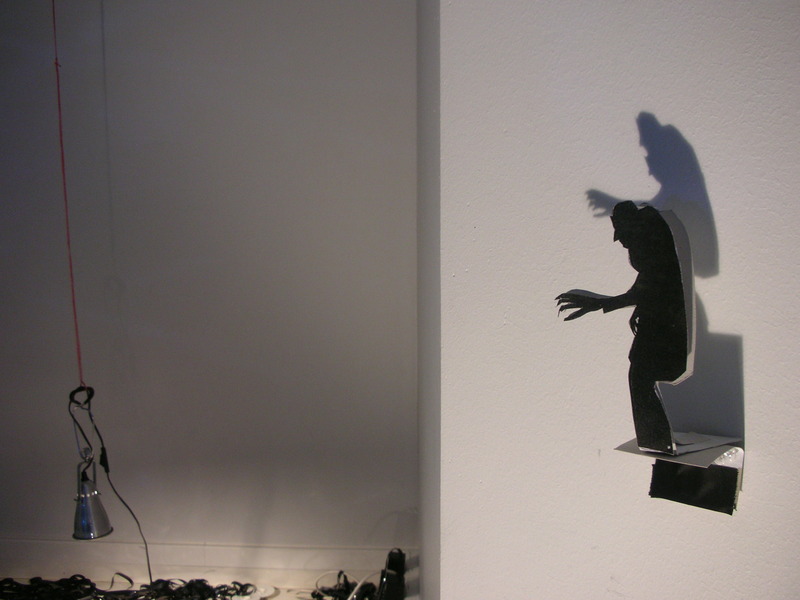 Jade Boyd ‘Nosferatu in Shadowform’ In 2006 I came to the idea of creating a holographic projection, a looping figure of Nosferatu, after researching into the use of the supernatural in the landscape in film, and the ephemerality of the film medium. In Murnau’s Nosferatu the images themselves become phantoms through his stop-motion filming as well as the very flickering nature of the medium. I became interested in the world of surface and illusion in relation to film and projection and in the way that film creates illusions via light. 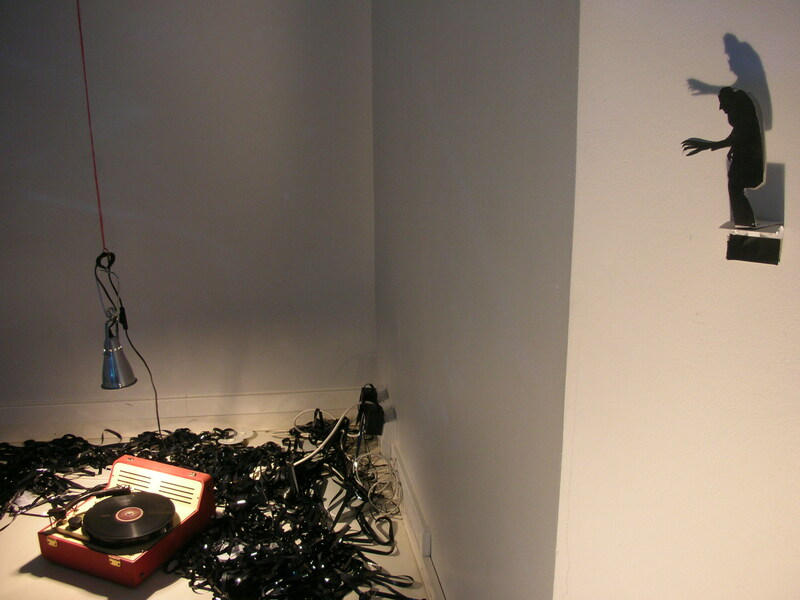 My intention was to illustrate the fragility of the transmission of images through light, through flickering or interruptions in the projection. The hologram is a three-dimensional representation yet has no more physical ‘substance’ than the two-dimensional film screen- it still does not exist in the sense that it has any solid form. This postponed project to create a holographic projection, awaiting further research, funding and an exhibition space, sits in a state between imagination and actualization, not unlike the state of the hologram itself, existing between presence and absence.